Baking Soda/ Potassium Bicarbonate Fungus Control Mix 4 teaspoons (about 1 rounded tablespoon) of baking soda and 1 tablespoon of horticultural oil into one gallon of water. Spray lightly on foliage of plants afflicted with black spot, powdery mildew, brown patch and other fungal diseases. Avoid over-using or pouring on the soil. Potassium bicarbonate is a good substitute for baking soda. 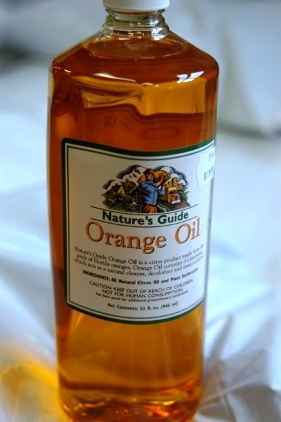 Citrus oil and molasses can be used instead of horticultural oil. Manure compost tea is effective on many pests because of certain microorganisms that exist in it naturally. Here's how to make compost tea at home. Use any container but a plastic bucket is easy for the homeowner. Fill the 5-15 gallon bucket half full of compost and finish filling with water. Let the mix sit for 10-14 days and then dilute and spray on the foliage of any and all plants including fruit trees, perennials, annuals, vegetables and roses, and other plants, especially those that are regularly attacked by insects or fungal pests. It's very effective for example on black spot on roses and early blight on tomatoes. How to dilute the dark compost tea before using depends on the compost used. A rule of thumb is to dilute the leachate down to one part compost liquid to four to ten parts water. It should look like iced tea. Be sure to strain the solids out with old pantyhose, cheese cloth, or row cover material. Add two tablespoons of molasses to each gallon of spray for more power. Add citrus oil for even greater pest killing power. Cornmeal Juice is a natural fungal control for use in any kind of sprayer. Make by soaking whole ground cornmeal in water at one cup per 5 gallons of water. Strain the solids out and spray. The milky juice of the cornmeal will permeate the water and this mix should be sprayed without further diluting. Cornmeal Juice can be mixed with compost tea, Garrett Juice or any other natural foliar feeding spray. In a blender with water liquefy two bulbs of garlic and two cayenne or habanero peppers. Strain away the solids. Pour the garlic-pepper juice into a one gallon container. Fill the remaining volume with water to make one gallon of concentrate. Shake well before using and add 1/4 cup of the concentrate to each gallon of water in the sprayer. To make garlic tea, simply omit the pepper and add another bulb of garlic. For additional power, add one tablespoon of seaweed and molasses to each gallon. Always use plastic containers with loose fitting lids for storage. Garrett Juice evolved over a period of years as I would tell readers and callers how to make an effective foliar feeding mix. The mix has always had compost, tea, molasses and seaweed, but the other ingredients have varied. Through trial and error, we came to the basic mix we use today. As always, my formulas are for making the mix at home, but there are commercial products on the market for convenience. Mix the following in a gallon of water. Add: 1- 2 ounces of liquid fish (fish hydrolysate) per gallon of the ready to use spray. Note 1: To avoid burning plant foliage, the ready-to-use solution should not have more than 2 ounces of orange oil per gallon of spray. Note 2: We now know why the mix works so well, not only on the foliage, but also in the soil. The ingredients are a well balanced blend of nutrients and food for both beneficial fungi and bacteria. Garrett Juice Concentrate: Mix the following: 1 gallon of compost tea or liquid humate, 1 pint liquid seaweed, 1 pint apple cider vinegar, and 1 pint molasses. To make Garrett Juice Plus add 1 pint fish hydrolysate. Use 2 oz. of this concentrate per gallon of water for foliar spraying. Potting soil – as opposed to native soil, loam, dirt or landscaper’s soil – is what should be used in pots - no matter what the crop. Potting soil should be light weight. I do not recommend peat moss potting soils. Peat moss is anti-microbial. Microbes don’t grow well in it. That’s just the opposite of what we want. Peat moss is excellent for storing bulbs or shipping food or other perishable material that would otherwise decay. Potting soil should not be sterile as some recommend, but alive and dynamic. It should be light, loose, well aerated, fertile, full of microorganisms and have the ability to stimulate quick and sustained growth. *This potting soil is not commercially available at the moment. Other amendments that can be in small amounts include greensand, beneficial microbes (bacteria and fungi) and organic fertilizers. Some of the best fertilizers for interior plants include earthworm castings, kelp meal and coffee grounds. They are mild and odor free. Garrett Juice is also an excellent fertilizer for plants in containers. Mix 1/3 of each in water and paint on trunks: diatomaceous earth, soft rock phosphate and manure compost, fireplace ashes can be substituted for soft rock phosphate. Paint onto cuts, borer holes or other injuries on trunks or limbs. Reapply if washed off by rain or irrigation. A compost pile can be started in sun or shade at any time of the year. Good ingredients include leaves, hay, grass clippings, tree trimmings, food scraps, bark, sawdust, rice hulls, weeds, nut hulls and animal manure. Mix the ingredients together in a container of wood, hay bales, hog wire, concrete blocks or simply pile the material on the ground. The best mixture is 75-80% vegetative matter and 20-25% animal waste, although any mix will compost. The ingredients should be a mix of coarse and fine-textured material. Avoid having all the pieces of material the same size since the variety of sizes will help air to move through the pile. Oxygen is a critical ingredient. Turn the pile at least once a month; more often speeds up the process. Keep the pile moist, roughly the moisture of a squeezed-out sponge, to help the living microorganisms thrive and work their magic. Compost is ready to use when the ingredients are no longer identifiable. The color will be dark brown, the texture soft and crumbly and the aroma that of a forest floor. Use compost in all bed preparation and as high quality mulch around annuals and perennials. What has been reported to me by a listener is to put ½” of cornmeal in a flat pan that’s large enough to get your feet in. Add enough warm water to cover the feet and soak over an hour. . Soak feet for over an hour. More than one treatment may be needed. The best choice for herbicide use is 10% white vinegar made from grain alcohol. It should be used full strength. I've mentioned 20% in the past but it is stronger than needed and too expensive. Avoid products that are made from 99% glacial acetic acid. This material is a petroleum derivative. 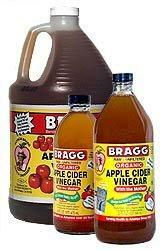 Natural vinegars such those made from fermenting apples have little herbicidal value. They are used in irrigation water and as an ingredient in Garrett Juice. Shake well before each spraying and spot spray weeds. Keep the spray off desirable plants. This spray will injure any plants it touches. This natural spray works best on warm to hot days.